There are currently many choices in IP cameras for those looking to monitor their homes and business locations. Anandtech recently reviewed one such camera, the Dropcam Echo, which was geared towards the non technical consumer. Today we are looking at an IP camera offering from Compro Technologies which hopes to provide advanced features for small businesses and technical home users, while still paying close attention to the ease of installation for the end user. First off, some information about Compro Technology Inc, as many readers may not have heard of them and they are trying to enter the US market just now. Compro was Originally founded in 1988, based out of Taipei, Taiwan. Compro manufactures PC-TV, digital audio/video and IP security products for the IT consumer markets. They have been developing PC based TV tuners and data broadcast receiver products since 2003. However they have just recently in 2008 released consumer oriented analog/digital TV tuner products that some of you may be familiar with. Compro's IP security products include a full range of IP camera types from static ones to full PTZ (Pan-Tilt-Zoom) offerings with high resolution. 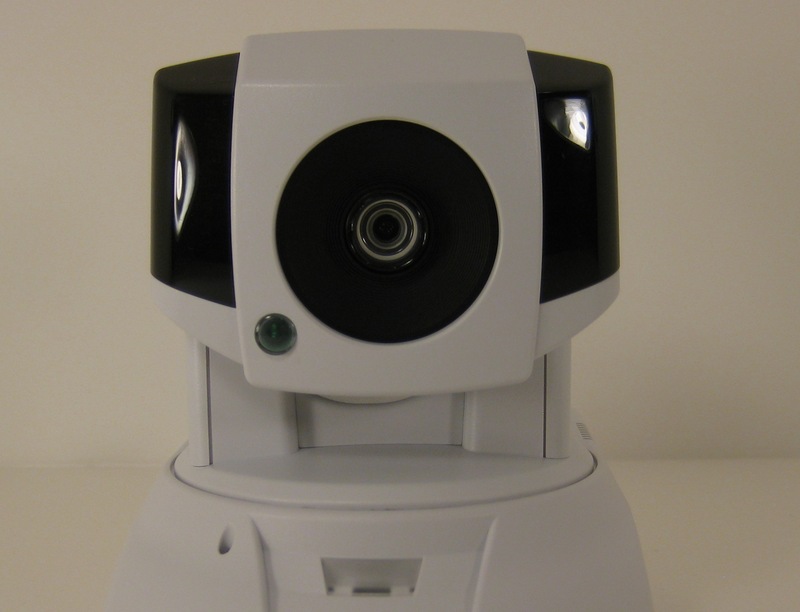 Today we are looking at Compro's mid-range PTZ (Pan-Tilt- Zoom) IP Camera, the IP540. The Compro IP540 lists the following as key features of the product. I understand :) This is only our 2nd IP camera review. Look for a roundup towards the later part of the year. Congrats compro for this major coup. :) However, activex support seems a little...quaint these days. I have seen the Compro NC570 in stock at www.ipcam-central.com. That's the Compro HD camera with 12x optical zoom, Pan and Tilt and night vision. I am quite sure there must be some encryption for the stream. Some video samples with both IR on and off in 640x480@30fps and 1280x1024@15 fps would be nice.